Case Studies - F.R.E.E. Inc.
What are typical findings of an audit? 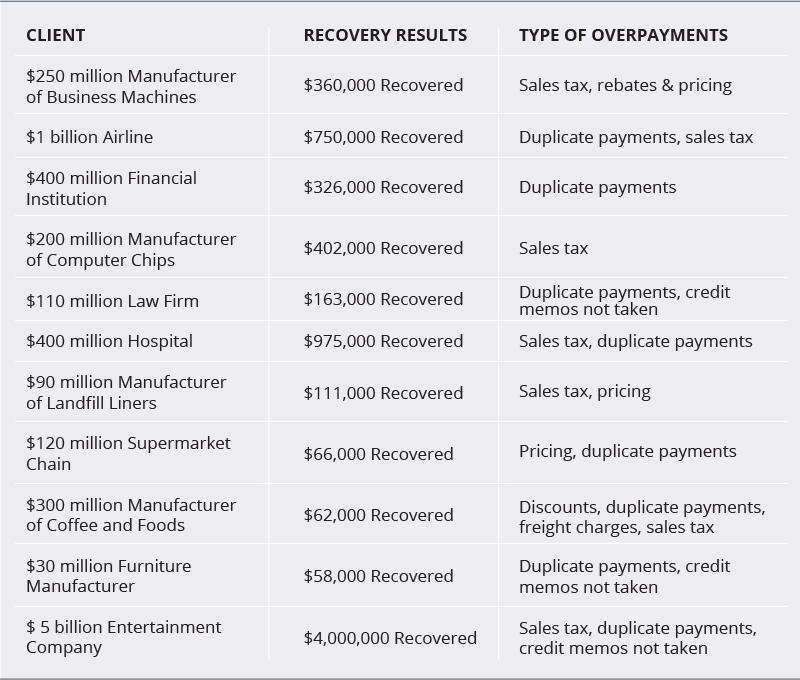 On the average, up to one-tenth of one percent (.001) of total dollars in payables are identified as overpayments. That is payment of your funds to a vendor or supplier which will go unrecovered unless action is initiated to reclaim your money. 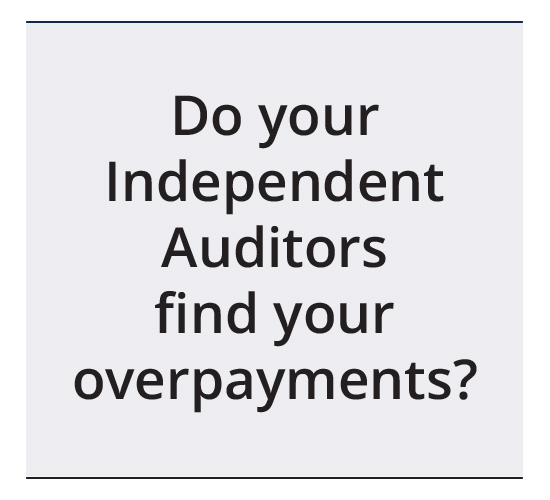 Do your independent auditors find overpayments? They may, but chances are that they will not. When an outside auditor tests accounts payable on a “sample” basis, the probability is low that many overpayments will be noted. The mission of an independent financial auditor is to assure compliance to your procedures and standard accounting practices. It would be too costly for them to review all vendor files with the same detail that F.R.E.E. Inc.’s service provides. References and an Abbreviated Client List are also available.